Of the various advances in the sport, golf clubs have seen the most change. Improved aerodynamics, better shafts and lighter component weight means that golfers can hit balls further and straighter than ever before. Driver heads have morphed into a larger head with a more aerodynamic design. This means that the swing is faster and the shot is more forgiving even if you don’t make perfect contact with the ball. If you love the mash up of tech and sport, then there are two clubs you have to get your hands on. If you want to improve your drive, the TaylorMade R15 Driver is the way to go. As we all know, TaylorMade is the number 1 driver used on the PGA Tour. The R15 is probably the most technologically advanced club ever made. This stunning piece of golf tech features two sliding split weights that you can adjust up and down the head to shape your shot. A slight tweak can fade, straighten or draw your drive. If you are looking to improve your swing, there are a number of tech products you can use. The easiest way to go is to purchase a swing glove that monitors the action of your swing. However, if you are particularly attached to your own glove, you can purchase the Zepp Golf chip that clips on instead. By downloading the free app you can view a 3D reconstruction of your swing path, tempo, plane, and consistency of your swing, as well as the head speed. You can also stick the sensor in your pocket to analyse your hip rotation on any swing. If you have always wanted to play in the Masters you can splash out and purchase the Full Swing Golf simulator. Using high-speed cameras with infrared sensors, the simulator measures the spin rate and rotation of the ball before it has even hit the screen. While older simulators tried their best to calculate the trajectory of the ball, the Full Swing sim transfers data instantly, creating the most realistic play ever seen. Range finders are handy, especially when you cannot see exactly how far you are from the hole. 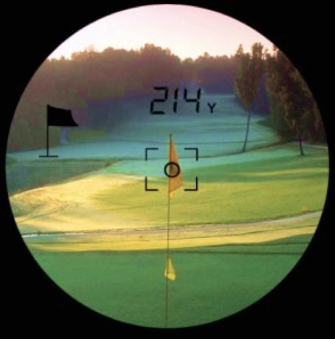 Most modern range finders use laser technology and optical lenses to determine exactly where and how far the hole is. 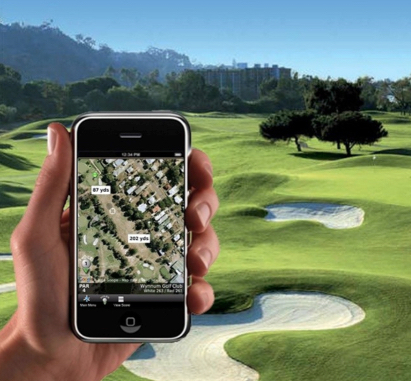 If you don’t want to fork out a few grand for a range finder, you can download and install a free GPS Range Golf Finder for your iOS or Android phone. Using Google maps, the app shows you exactly where you are situated and the distance to the next hole. If you want to take the whole range finding experience further, you could invest in a Garmin Approach S6. This GPS watch has the data of 38 000 courses stored into its memory. Using your smartwatch you can zoom into virtual courses to find out where you are situated and the exact distance to the pin. The watch can also be used to tweak your swing at the same time. Technology can enhance and improve your golf game and there really is no reason to play the old way when the new way has so many advantages.